Enjoy a candlelit dinner out on the water in Livingstone. 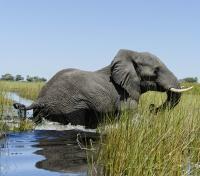 Get up close and personal with wildlife by 4x4, canoe, or on foot. 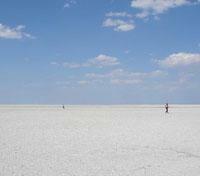 Experience the vastness of the Makgadikgadi Salt Pans. Enjoy your private airport transfer to/from Royal Chundu. 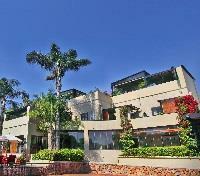 Included in your stay here at the Island of Royal Chundu is a variety of activities to enjoy. 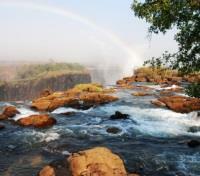 Try going on a picturesque river cruise, or a trip to explore the mighty Victoria Falls. 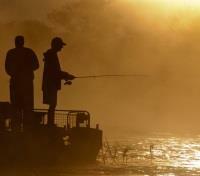 Set out on an aquatic canoeing adventure or simply relax, and cast out during a fly-fishing session. For those craving something different, sign up for some additional services and activities such as massage treatments, helicopter flights, micro flights, white water rafting. 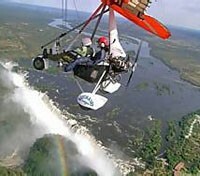 Sign up for optional activities at your hotel (not included in tour price); helicopter, ultra-light, horseback safari, white-water rafting, bungee jumping, Chobe game park day trip, jet boat, cultural tours, and more. Relax during this short flight traveling between the Kasane airport and Linyanti. 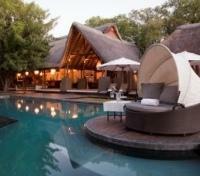 Set in an immense private reserve, known for its intimate wildlife experiences. Dramatic landscapes coupled with prime location on the ZIbadianja lagoon and shared between just four suites make for a ‘private Africa’, a culmination of years of safari experience. 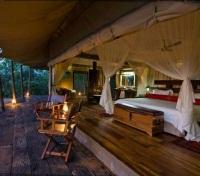 The camp operates ‘green’ and yet by luxury standards. 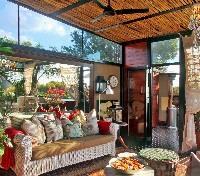 Each tent has a professional camera and lenses for each guest’s complementary use. Zarafa is located within the Selinda Reserve - a private 135 000-hectare (330 000-acre) wildlife area located in northern Botswana. It embodies authenticity, luxury and simplicity to create a camp that as been clearly considered, and thoughtfully planned to be as environmentally sensitive as possible. 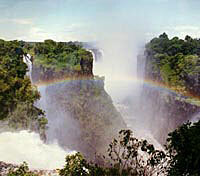 It is the culmination of years of safari experience. Zarafa Camp sits on an island in the floodplains of southern shores of the Zibadianja Lagoon, which is the source of the Savute Channel. 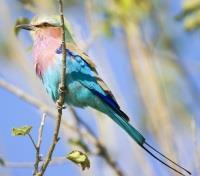 Positioned in the extreme eastern side of the Selinda Reserve, its location is in prime wildlife territory. Each tent comes with its own Canon professional camera including a Canon 40D body and 35-135 mm and 100-400mm zoom lenses for use during a stay. Photos are then burned to a DVD as a souvenir at the end of your stay. 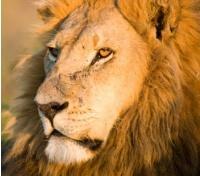 Enjoy day and night game drives as well as guided nature walks, all meals, local drinks and laundry. 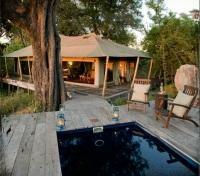 Zarafa Camp is designed with exclusivity and privacy at its core. 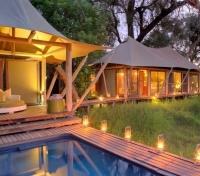 It is one of the most luxurious camps in Botswana. 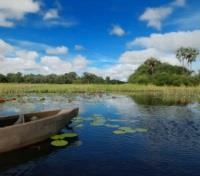 Set out to discover more of the remote Linyanti marshes. Game drives and other activities will be done in the mornings after breakfast, and then in the afternoons after lunch and maybe a quick siesta. 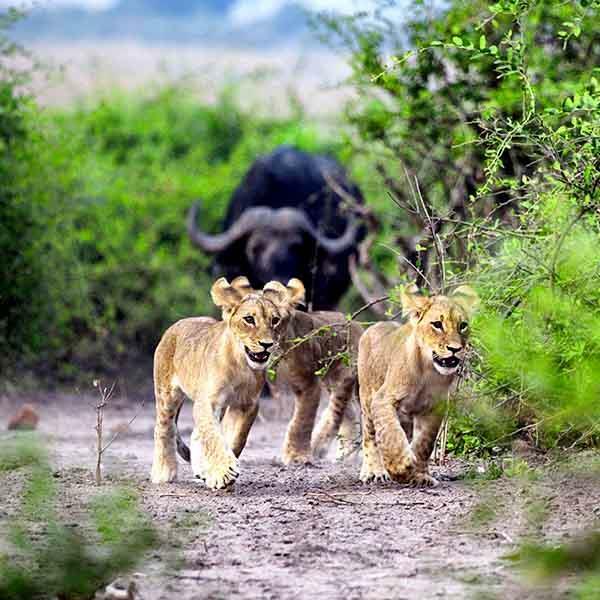 The many varied habitats within the Linyanti area - marshes, waterways, riverine forests, dry woodlands and grasslands - and the prolific and diverse wildlife and spectacular scenery together form a wonderful contrast to the Okavango. Adding this area to a Botswana itinerary makes for a varied and balanced experience of the country and in many ways it is an essential complement to a visit to the Okavango. Guests staying at Jack's Camp have a vast variety of activities to enjoy during their stay. Regular activities from Jack’s Camp include magic encounters with the friendly Meerkats, informative Bushman interactions, visits to Chapman’s Baobab, expert guiding of the unique desert wildlife and star gazing. 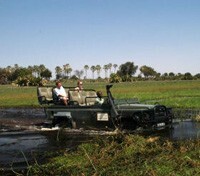 In addition to these regular activities, the wet season ushers in the spectacular sight of the annual zebra and wildebeest migration, and the dry season allows guests the opportunity to explore the vast Makgadikgadi saltpans on quad bikes. 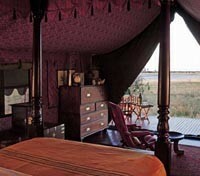 Jack’s Camp which was refurbished in a traditional East African 1940's safari style is situated in one of the most unique regions of the country - the Makgadikgadi Pans. 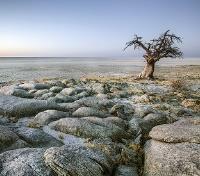 The Makgadikgadi is not without drama and, here, the emphasis is on observing the intricacies of a truly unique ecosystem. A safari to Jack's Camp is also a complete desert experience focusing on species unique to the area such as aardvark, gemsbuck and springbuck. It is the only place where you are virtually guaranteed to see the rare and elusive brown hyaena and be able to walk through the Kalahari with a gang of habituated but, wild meerkats. Set off in the morning to visit some of the Kalahari’s sexiest meerkats (‘Suricate’ to science-minded people and ‘Timon’ to Lion King Fans). Get up close and personal with these captivating creatures. 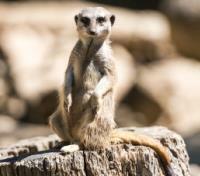 On chilly mornings, you might well find a meerkat snuggling up to you for warmth. 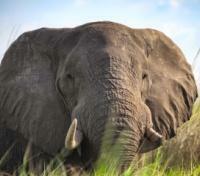 In the absence of a termite mound or tree, these playful creatures may use your head as a sentry lookout post. By spending quality time with these incredibly social, superbly adapted animals, you will be able to see how they interact with each other and their environment. You also get the chance to see the desert through the eyes of a meerkat – which, despite the fact that it’s only a foot off the ground, is a pretty spectacular vantage point, and definitely one of the most special and memorable game experiences you will encounter in Botswana. 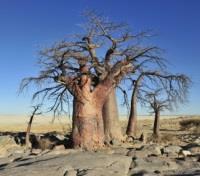 A relic of one of the world’s largest super-lakes, the Makgadikgadi dried up thousands of years ago as a result of the continued shifting of the earth’s crust. When the lake was formed, some five to seven million years ago, its shores were the setting for the mysterious transition from ape to man. Venturing far into the centre of the Makgadikgadi, on 4wd quad bikes, we are able to explore remote archaeological sites, periodically discovering never before documented fossil beds of extinct giant zebra and hippo. The fact that you can travel across the pans at great speed and still arrive nowhere only underlines the pans immensity. After tea, travel down to the pans where you will be given a brief safety talk before mounting your trusty quad bike to head off across the pans. 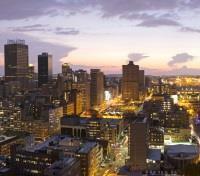 Watch the sun set and the stars rise. This is one of the only places in the world where the silence is so complete you can hear the blood circulating through your ears. There is not one visual landmark to be seen and one swiftly loses one’s sense of perspective. 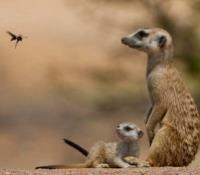 Meerkat - "Leave my Pup alone Wasp."